The Detention Bureau has nearly 100 active volunteers working in the jail contributing well more than 15,000 hours per year of service. Volunteers represent many community-based organizations, educational institutions, churches, businesses and individuals. Currently volunteers provide religious, social, educational, recreational and other services that enhance personal development and create links between those incarcerated and their community. Volunteers are vital to the operation of the WCSO. 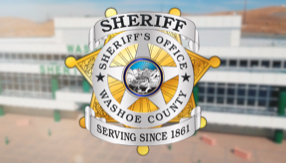 We are always looking for people who are willing to make a firm commitment of their time and talents to the inmates incarcerated in the Washoe County Detention Center. No convictions or commissions of a misdemeanor or felony in the past three years. This policy will also include withheld judgments as convictions. Any criminal probation must have already been served. Prospective volunteers cannot be under felony, misdemeanor or unsupervised probation. Recovering addicts must have at least three years of established sobriety. Select candidates will complete and interview and a criminal history & background check before beginning their volunteer service. If the volunteers are granted a security clearance, they must attend a one-day training/orientation class every two (2) years. Interested persons should call Brooke Howard at 785-4239 or Perry Leach at 328-2918. Leave your name, telephone number, program or religious affiliation and your call will be returned.